Sarah and Sean were marred at the Lang Barn which is such an amazing venue. 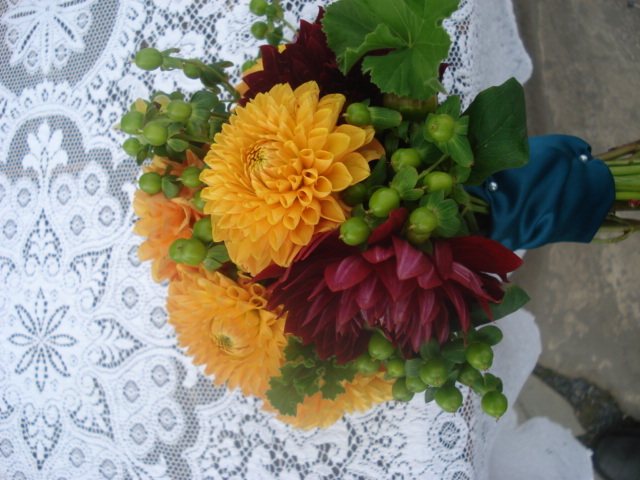 Sarah wanted the palette to be primarily orange and Loved dahlias. They were married outside on the Patio in front of the Barn under the decorated arbor.. and Thankfully the rain held off! The Reception moved inside which was decorated By Njoy.. we just did the Flowers on this event.